Corner Music is an authorized Gibson Dealer—and we’re proud of it! We have dozens of great-looking Gibsons waiting for you to come in and play. Because we’re not a mega-store and Certified Online Dealer, we’re not allowed to post our current Gibson inventory—only used instruments (weird technicality … we don’t make the rules). 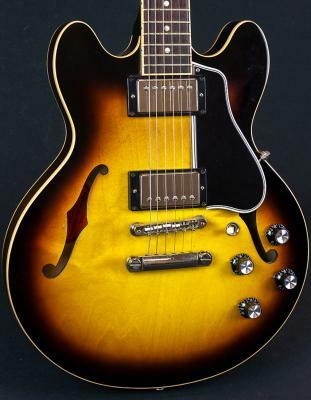 But we still have plenty of gorgeous Gibson guitars here. Stop by our store or call anytime to learn more about our current stock of Gibson electric guitars. Do it now! For many of us, a Gibson guitar was our first love. You see them everywhere—they're workhorses, they look great and they hold their value. They are unquestionably the working standard. Whatever style you play, we’ve got plenty of Gibsons here to choose from (the factory is right down the road and we get them while they’re still fresh).